What’s Ripe and Ready to Eat? 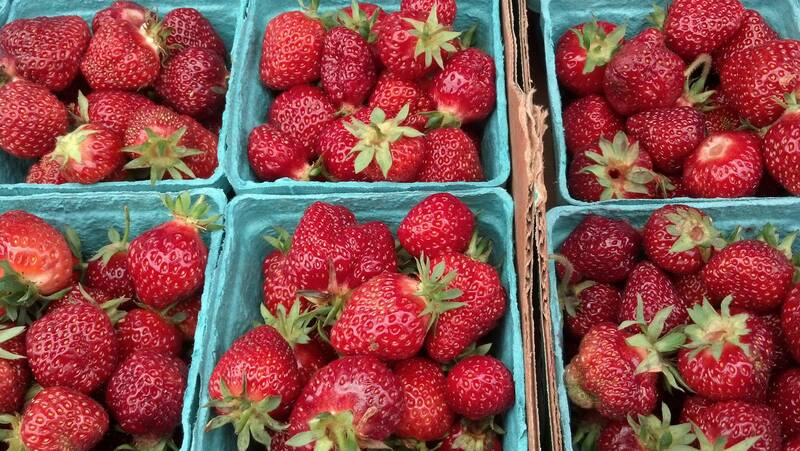 Strawberries can be found at Hayton Farms, Skagit Sun Berries and Sky Harvest Produce. Besides eating these delicious Washington local berries straight out of the box, add some Spinach and make yourself a Strawberry and Spinach Salad. 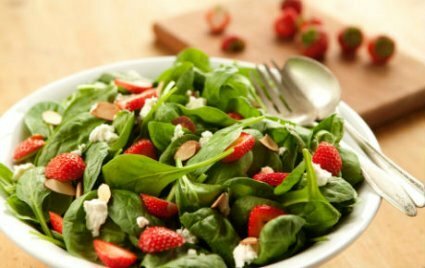 A perfect addition to any spring celebration, this baby spinach salad is dressed in light vinaigrette and tossed with fresh strawberries, almonds and creamy goat cheese. In a large bowl, whisk together shallot and vinegar. While whisking constantly, drizzle in oil to make a vinaigrette. Add spinach, strawberries, almonds and goat cheese and gently toss to combine. Serve immediately.